IAM141 Safety Director for American and Spirit Airlines, Tony D’Aloiso and Safety IAM141 Coordinator Dennis Spenser met with IAM Members at DCA this week. 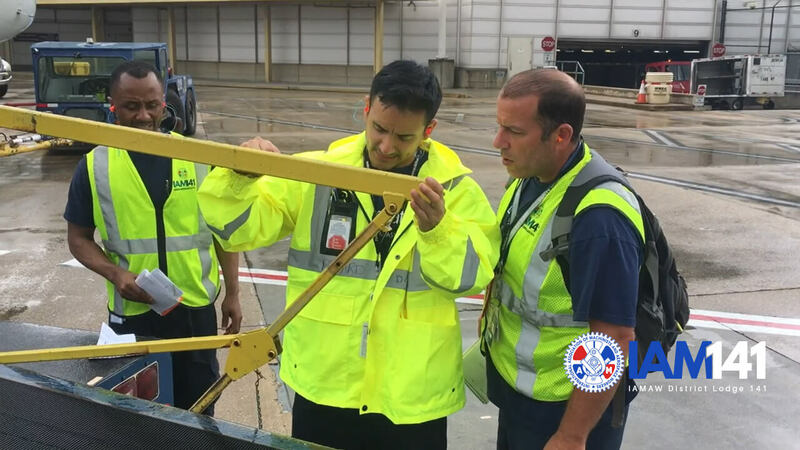 “I had the opportunity to walk the ramp, the bag room, to give safety briefings and to discuss the issues that are needed for IAM Members to work in a safe environment,” D’Aloiso of the visit. See video for the full story.